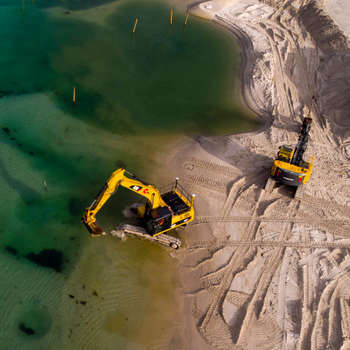 Since 1955, Gradco has firmly established itself as a leader in specialist contract mining, civil construction, environmental and heavy haulage services, not only in our home state of Tasmania, but throughout Australia. We offer a superior level of expertise, knowledge and experience backed by robust financial strength and stability. We are committed to developing relationships built on trust, reliability and honesty. The direction of the company is controlled by a family board of management, encompassing more than 200 years of collective experience. Our board’s vision, backed by genuine passion, ethics and values, plays a crucial role in guiding the company culture and in Gradco being recognised as an employer of choice. Above all else, flexibility to ensure optimum outcomes for our customers and clients. Our business is widely recognised as being an industry leader in safety, quality and environmental management and is committed to providing a safe working environment for our employees. We have a proven safety record and can be depended upon to uphold and deliver a high level of environmental integrity, awareness and accountability. Gradco’s Safety, Quality and Environmental Systems are certified to international standards, enabling us to comprehensively manage all aspects of project delivery. Longstanding business relationships with respected clients confirms the quality, consistency and reliability of what we do. Our reputation as a “hands-on” contractor underpins our success. We are proud of our culture, our commitment, our drive and our dedication to continuous improvement. We regularly work in partnership with mining companies, quarries, developers, medium-to-large businesses, government agencies and other stakeholders on long and short-term projects.